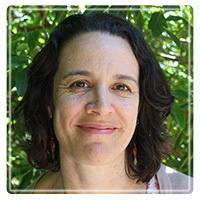 Oakland Therapist: Elena Gardella - Therapist 94611. Send A Message To Elena. Have you been struggling with stress or anxiety? Are you frustrated with yourself for not being able to implement change? Are you worried that therapy will be nothing more than talking about your problems without finding any real relief? In my work with you, I invite you to relate to yourself in ways that you ordinarily do not. Using mindfulness, EMDR, awareness of the body, and movement, you will be able to interrupt patterns of behavior, and to find new ways to respond to situations. Exploring with curiosity and compassion, we can challenge long held limiting beliefs, and work towards living with more ease, joy, satisfaction. The body and the mind are not separate, though sometimes it may feel that way. There is a constant feedback loop between thoughts and sensations. For example, if your heart suddenly starts racing, it's likely your mind will look for the reason, usually a danger. Likewise, if you think of something scary, your heart rate will increase. Because of this connection between the mind and the body, it is important that therapy treat the whole person. Eye Movement Desensitization and Reprocessing is an evidence-based therapy that is useful in treating the effects of trauma, anxiety, addictions, and phobias. It is also extremely helpful for working with negative beliefs, and places where clients feel "stuck". EMDR therapy uses eye movements or bilateral stimulation to process and release memories, beliefs, physical sensations or behavioral habits that are causes of distress. While some clients use EMDR as a focused treatment to work through a recent trauma - such as a car accident or a mugging - most clients benefit from EMDR along with other therapeutic interventions. While EMDR and somatic therapies are exciting and effective, therapy is much more than techniques. In our work together, we will explore what your goals are, in what ways you restrict yourself, and how you may find relief from suffering. The work is collaborative. You are the expert on yourself. It is my goal to support you on your path towards greater health (as defined by you). My office is located in North Oakland, close to bus lines and the MacArthur Bart station.